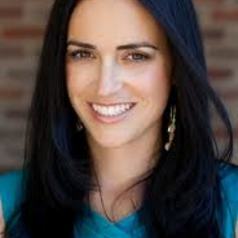 Jody Agius Vallejo is Associate Professor of Sociology at the University of Southern California and associate director of the Center for the Study of Immigrant Integration. Her research concentrates on the Latino middle class, Latino elites, and patterns of wealth accumulation among Latinos and Chinese Americans . Her book, Barrios to Burbs: The Making of the Mexican American Middle Class (Stanford University Press, 2012) examines mobility mechanisms, socioeconomic incorporation, racial/ethnic and class identities, patterns of giving back to kin and community, and civic engagement among middle-class Mexican Americans. Her second book, in progress, investigates the rise of the contemporary Latino elite. Her research has been funded by The National Science Foundation, The American Association of University Women, The Lusk Center for Real Estate, the American Sociological Association’s Fund for the Advancement of the Discipline, the John Randolph and Dora Haynes Foundation, the UC Davis Center for Poverty Research, and the USC Office of the Provost. She has published in peer-reviewed journals such as Social Forces, Ethnic and Racial Studies, Latino Studies, Social Science Research, City & Community, and Sociological Forum. Her research has received coverage in print, radio, and television including the New York Times, Los Angeles Times, NBC Latino, La Opinión, BBC World News, BBC Mundo, Agencia EFE, ABC’s Vista LA, OC Weekly, NPR, KCRW and KCPP.